Not too far from where I live, there's a beautiful little area featuring a tight maze of water canals. 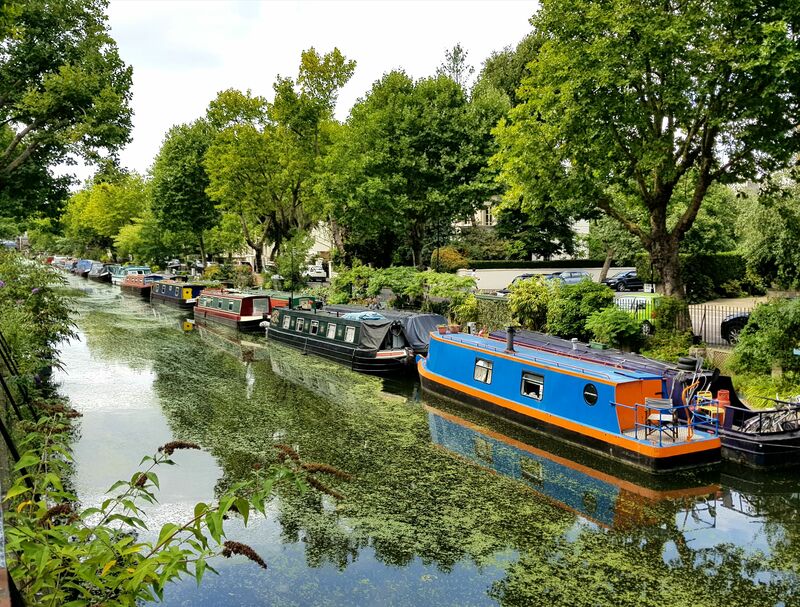 It is better known as "Little Venice" and resemblances just what the name suggests! Last Sunday, my husband and I drove there early morning and enjoyed a lovely stroll along it's riverside banks and soothing, calm waters. 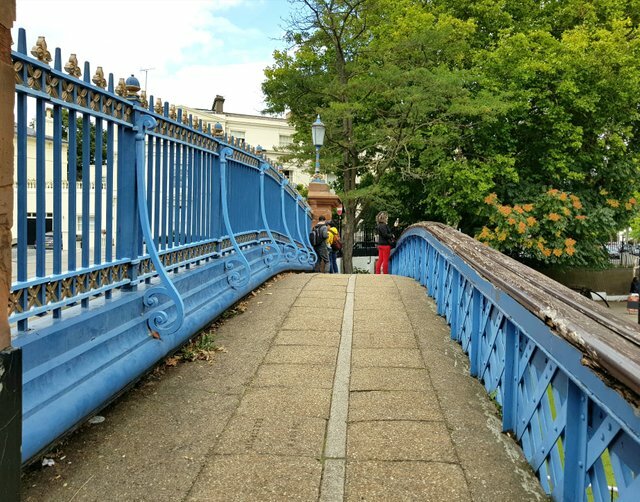 Living in West London for many years already, I cannot believe I just recently discovered this hidden gem tucked away in a snug corner of this sprawling city and only ten minutes from where I live. 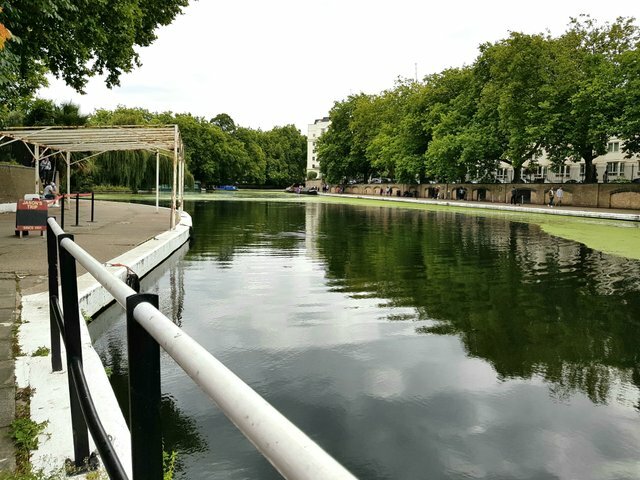 Just minutes away from Paddington Station and Warwick Avenue, Little Venice is a gorgeous hot spot and forms one part of Regent's Canal which runs all the way to Docklands in East London. 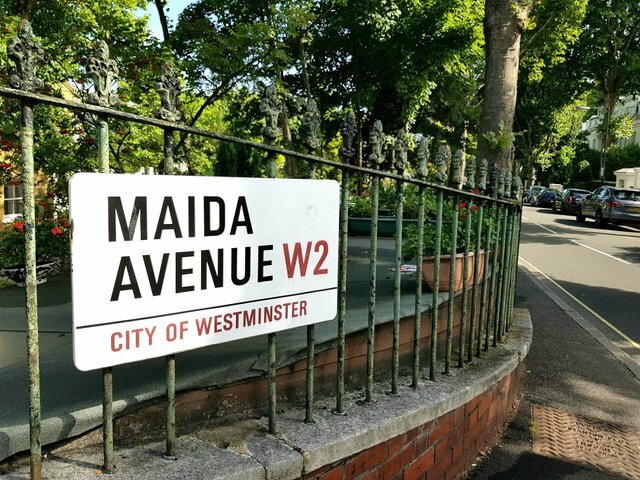 We began our walk starting from Maida Avenue which sits overlooking the canal itself. We were quite fortunate with the weather too. It was not an "extraordinarily" sunny day but good enough to take some decent photos and take in the sights. 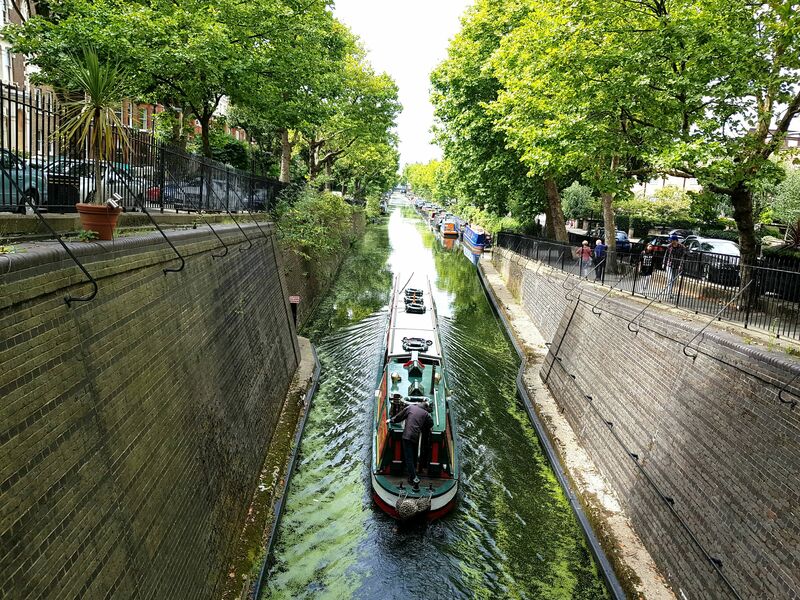 Little Venice is considered a scenic getaway mainly due to it's picturesque and intertwining canal routes. 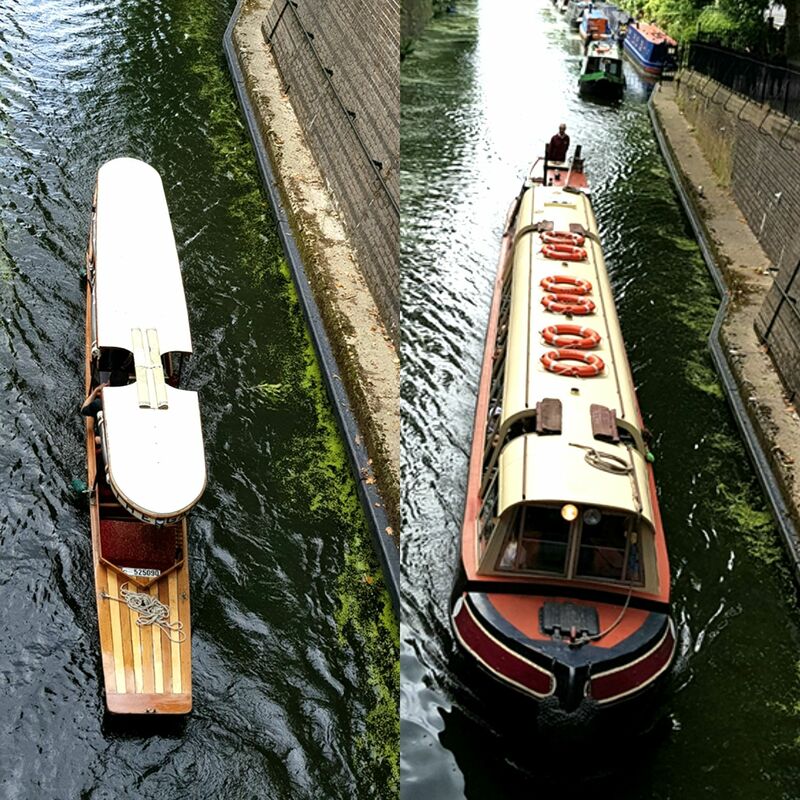 Add to that the impressively varied themed boat cruises travelling between Little Venice and Camden Lock that we saw. 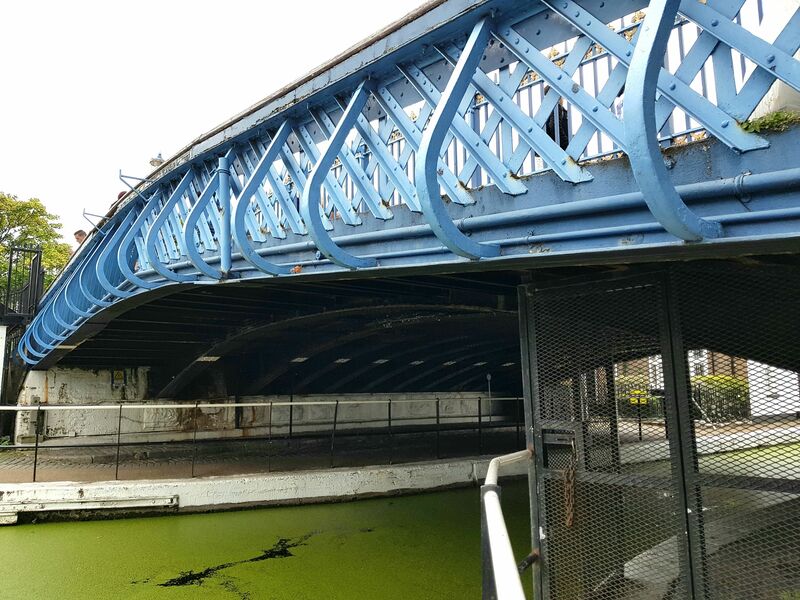 If you were to follow the main canal all the way to it's finish, it would eventually lead into the River Thames. 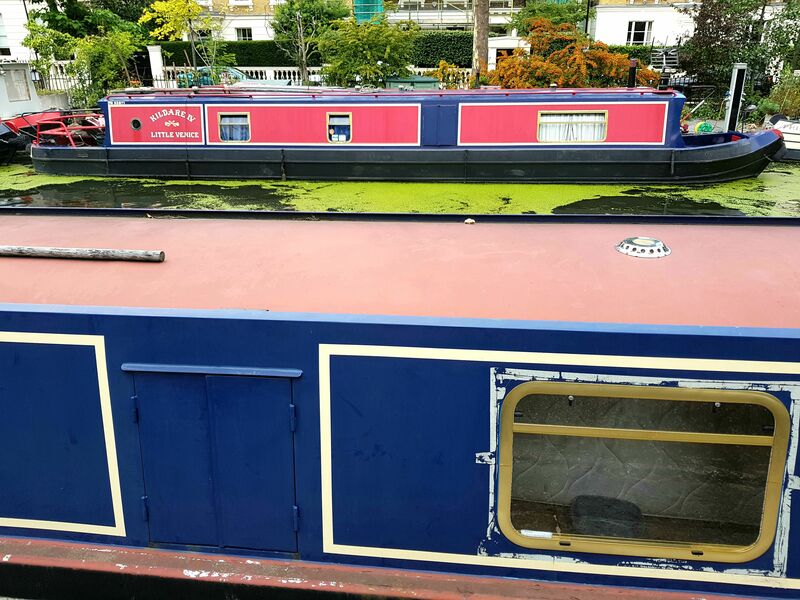 You'd be amazed by how many people live in moored canal houseboats anchored along the long, stretching banks. 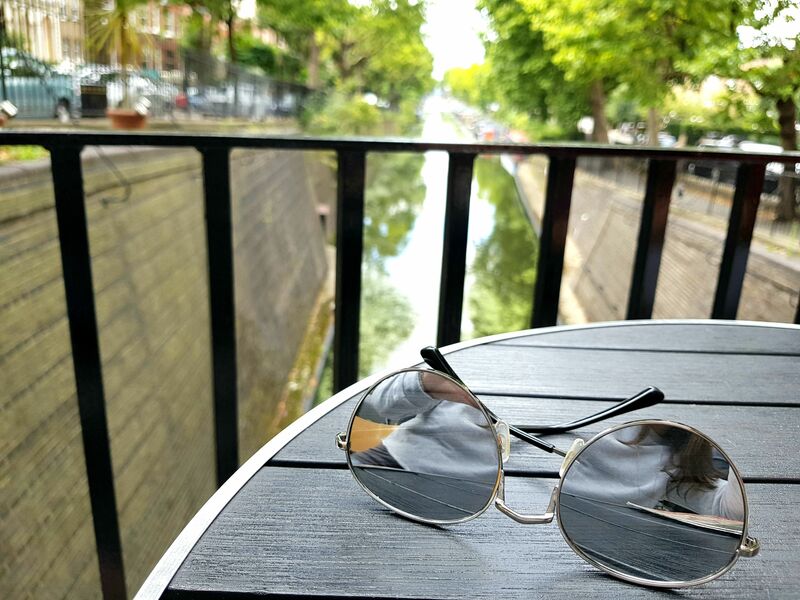 As we continued our short walk up Maida Avenue, we came across a little café called Café Laville that straddles the canal in a glass-fronted building overlooking the canal. 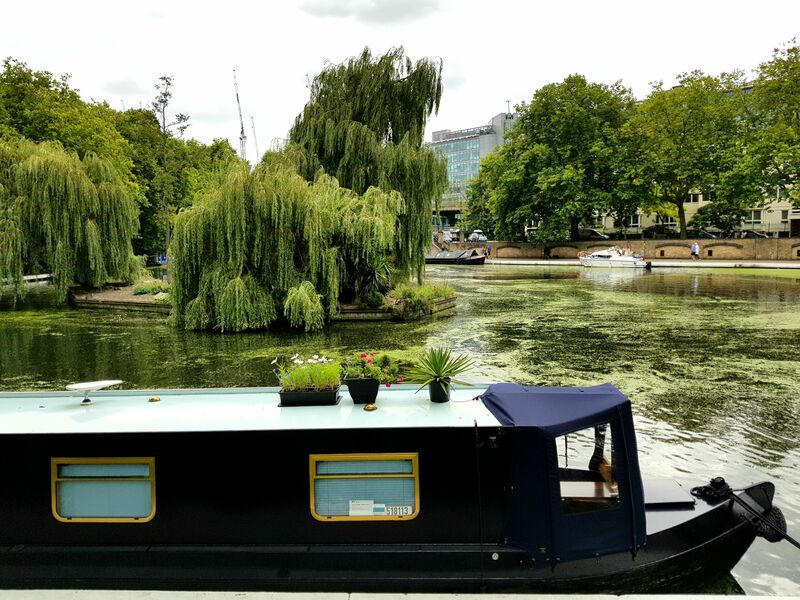 What a great location to provide a fantastic view of Little Venice! 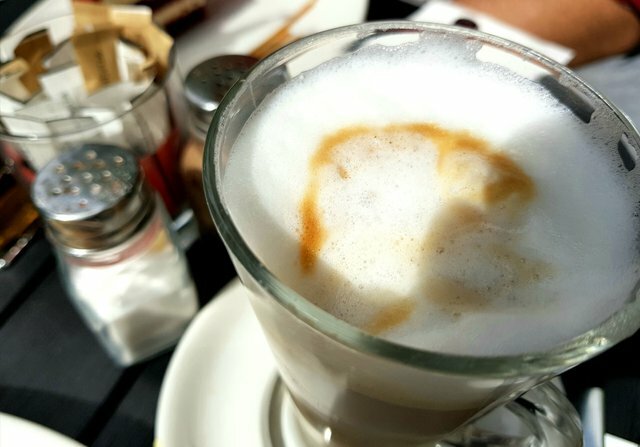 Time was pressing on and both of us could have done with some tasty breakfast so we almost instantly decided to eat there too. 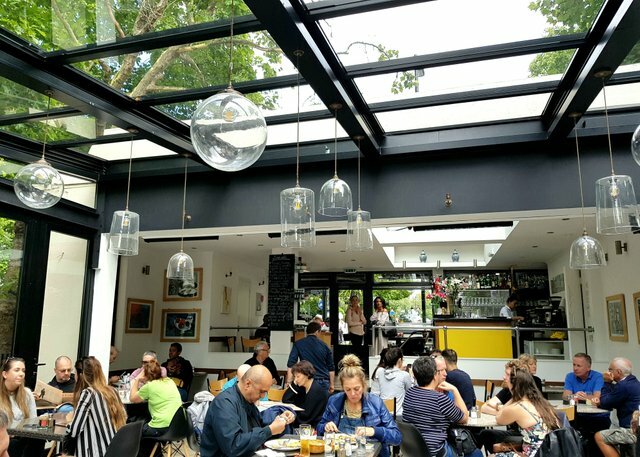 The café restaurant was very bright due to it's expansive glass roof and walls made to maximise on these view. Oversized ceiling lights hung in various shapes, along with a few nice paintings near the entrance wall. it was quite contemporary in style, yet very inviting at the same time. The waiter was friendly and luckily seated us directly under the retractable roof! I could literally see the water right under my feet and felt like I was hovering atop the Canal itself. How cool is that, right? It was such a pleasant experience! 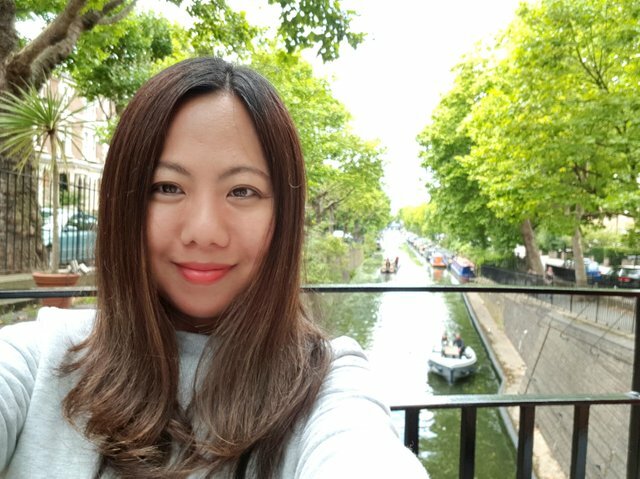 Gazing upon the serene waters, listening to the lapping of the subtle waves along the riverbanks and just watching the canal barges appear and disappear right from underneath the restaurant. What a peaceful and wistful way to watch the world go by. 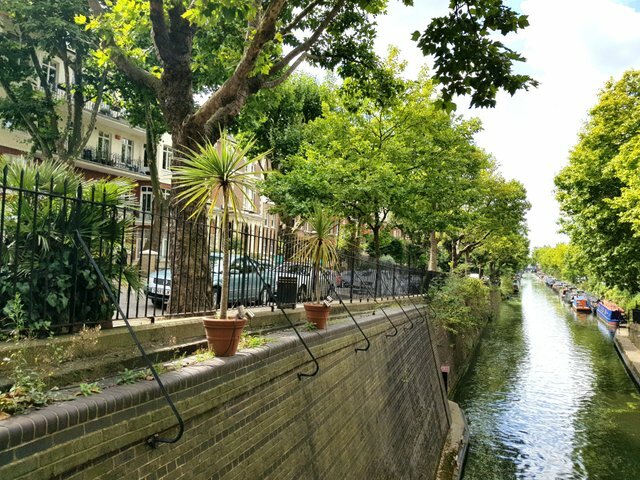 After indulging those lovely refreshments, we bid goodbye to the friendly staff and proceeded with our walk exploring Little Venice. The weather has actually become much better which was a huge, unexpected bonus. 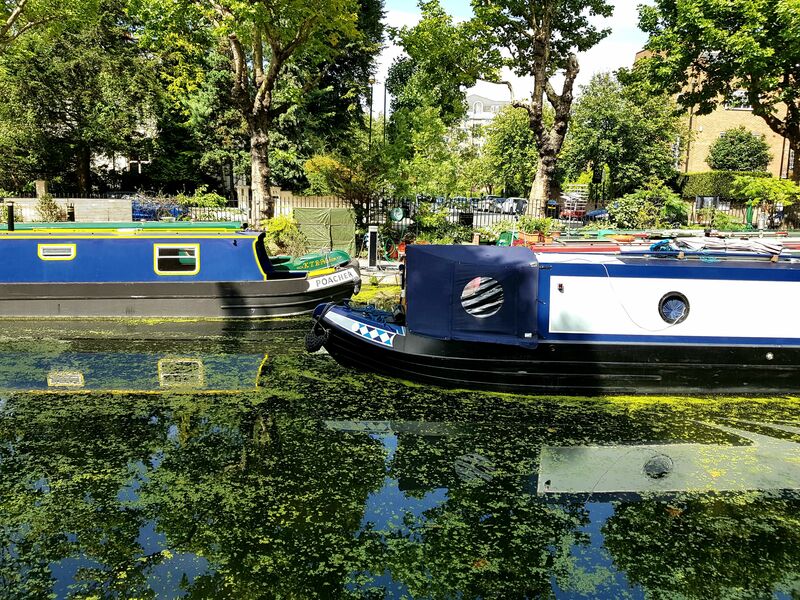 Little Venice is home to hundreds of attractive and colourful canal barges. 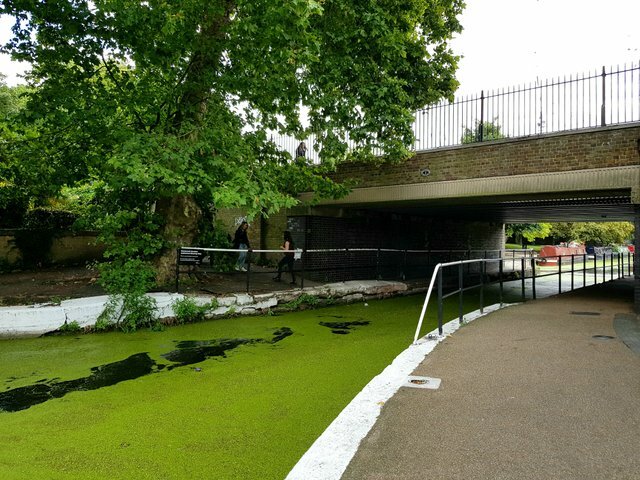 In fact, quite a convenient base from which to explore the rest of the capital via it's aquatic avenues. Each of these boats features it's own unique character set and provides for some stunning photography. Colourful logos, spacious customised decking area and even some gardening sections on the roof. 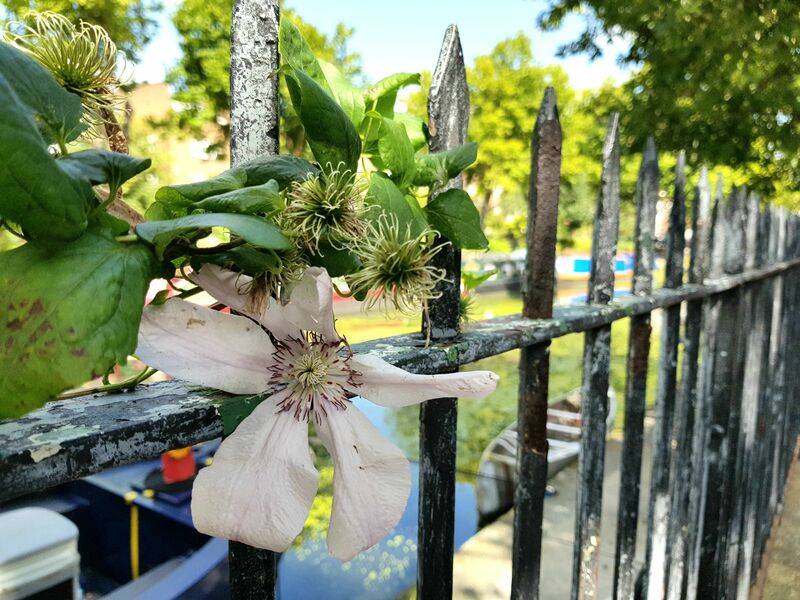 Everything just looked the part which makes Little Venice as captivating and alluring as she is. I wondered about the numerous residents living there and who would forego a traditional normal house for these awesome water-based houses. 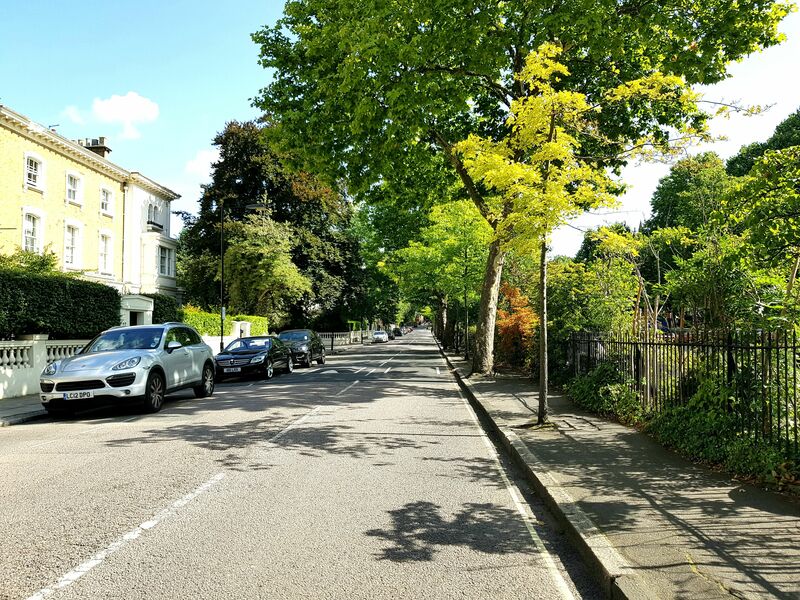 Of course, I realise that house prices are at ridiculous all-time highs, but they must surely also have a very strong connection with nature and freedom that drives them too. I can imagine there is something very special about returning to this peaceful and quiet abode after a hard day in the city. A surreal, but liberating feeling, I'm sure. 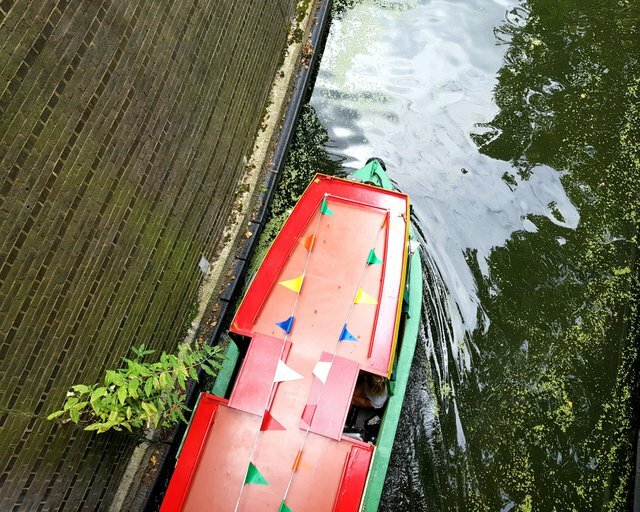 The intricately mapped canal systems of London seem to have been constructed with a great deal of practicality in mind. 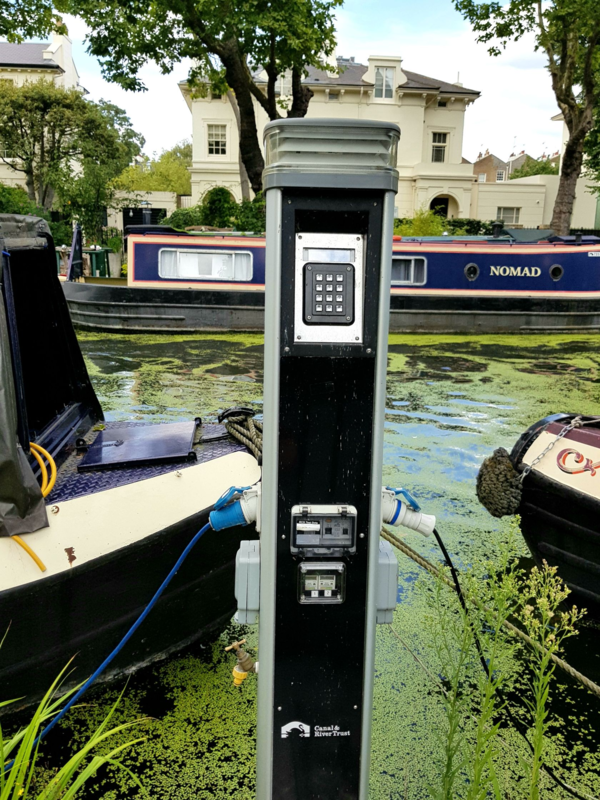 Almost every boat has a metered supply of electricity which powers the internal appliances contained within the boat. 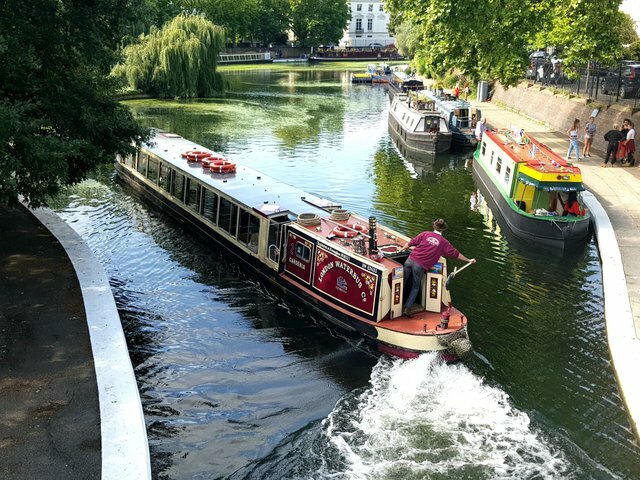 To maximise on the experience, I recommend taking one of the taxi boats up to Camden Lock, which is a 50 minute passage ride passing landmarks such as Regent’s Park and London Zoo. 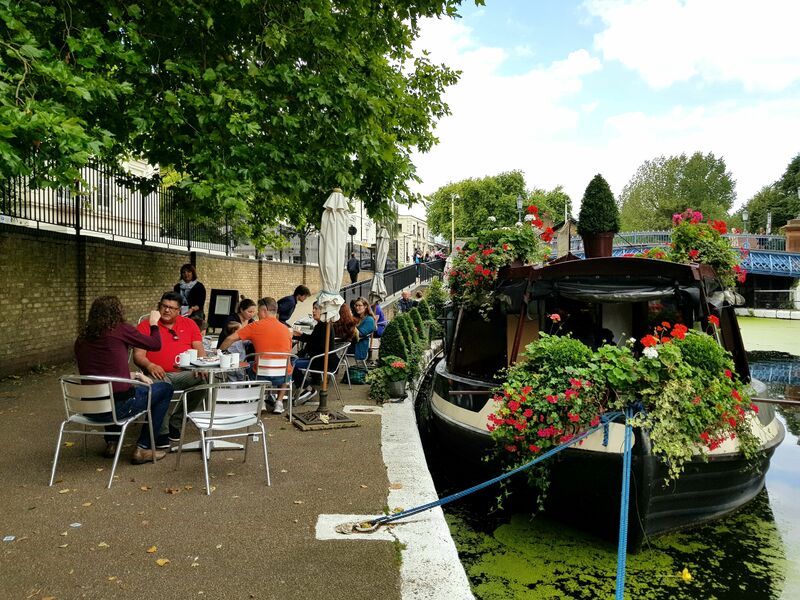 It sounds like a fantastic idea as we all know how buzzing life in Camden Market can get. So very lively and lots of merry fun! 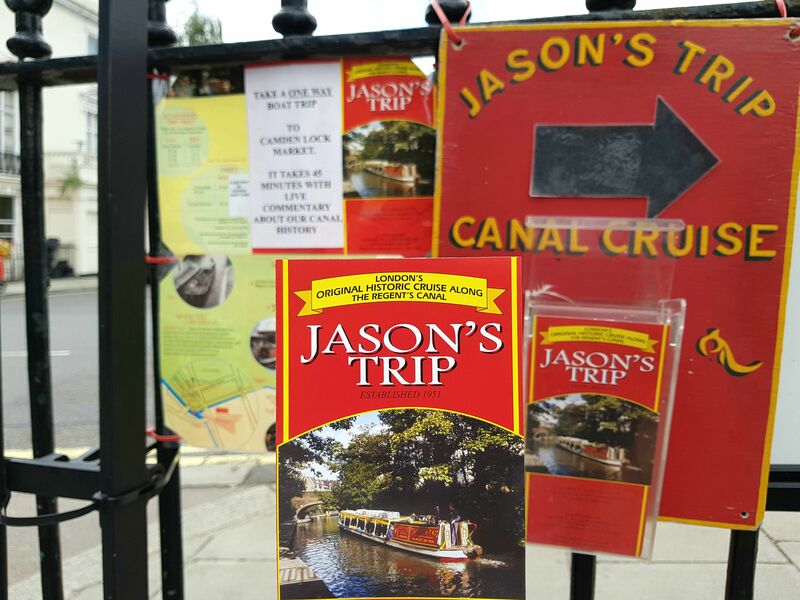 There are also quite a few options available via the assortment of cruise companies along a certain section of the canal , including Jason’s Trip, Jenny Wren Canal Cruises and the London Waterbus. All journey's begin under the bridge we had previously crossed. I think it is worth mentioning that they only accept credit cards (no cash). Which is the exact opposite to how many other establishments conduct their business in London, lol! 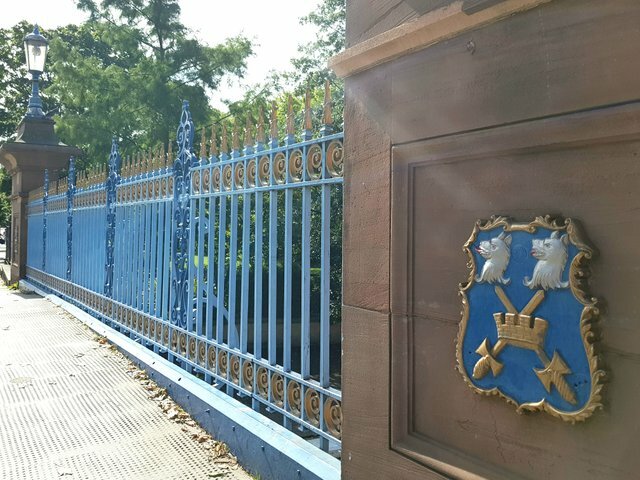 However, for today we chose to simply continue our stroll down the canal and keep the cruise on hold for something to look forward to at a later date. 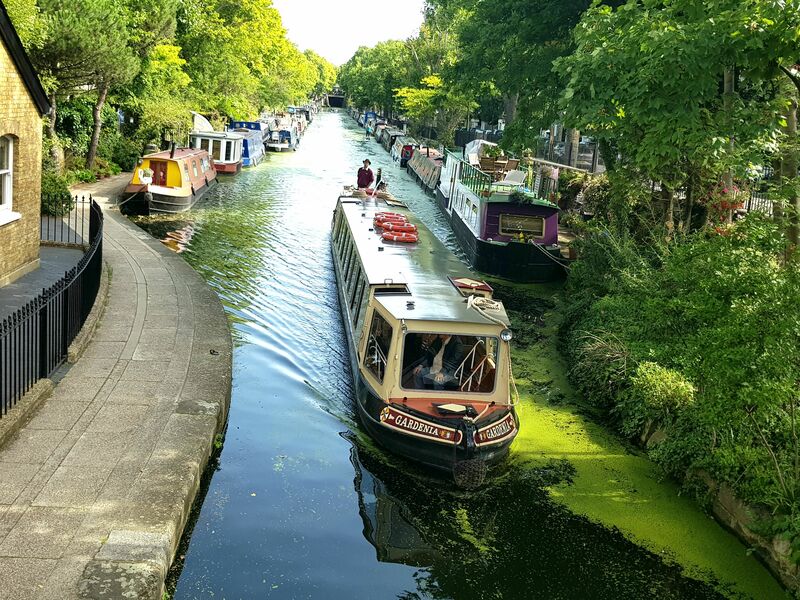 Little Venice is a great little day out. 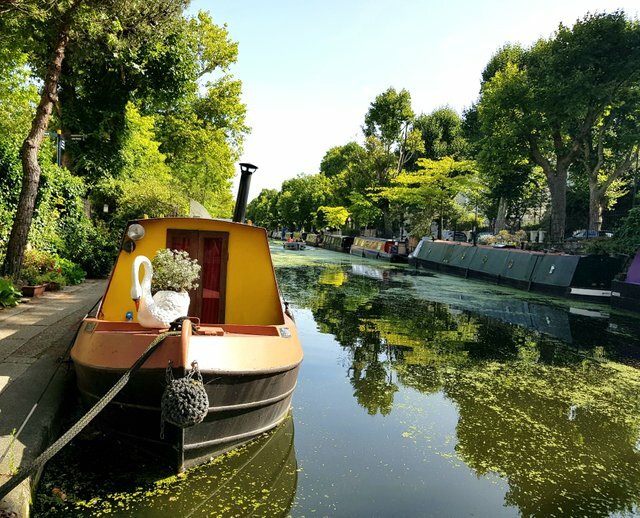 The ideal location for visiting in the warm spring/summer months or cool evening meanders alongside tree-lined canals ways, featuring beautiful and eccentrically painted houseboats. Although in some ways I have to say if visitors expect to see exceptional view as the Venice in Italy, they might be disappointed. 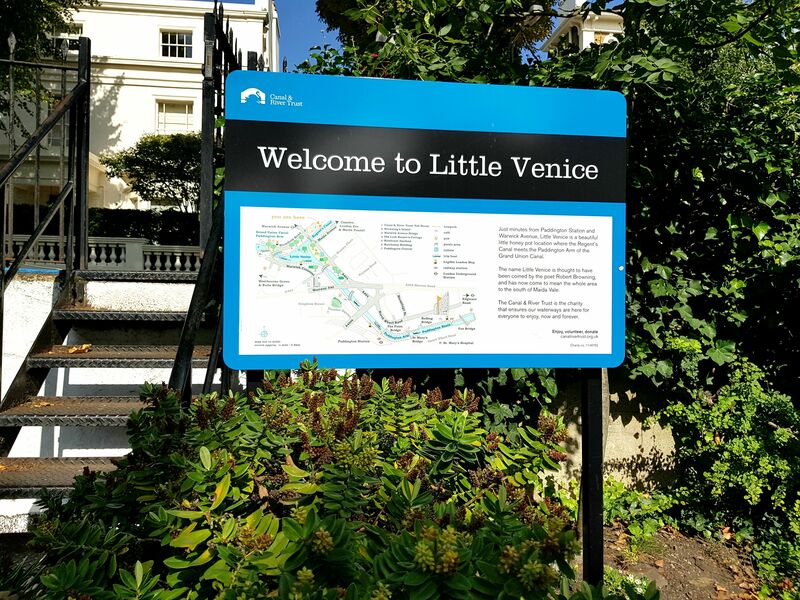 I feel the name “Little Venice” is rather a humble homage than a direct like-for-like comparison. Therefore, take this wonderful place for what is it. 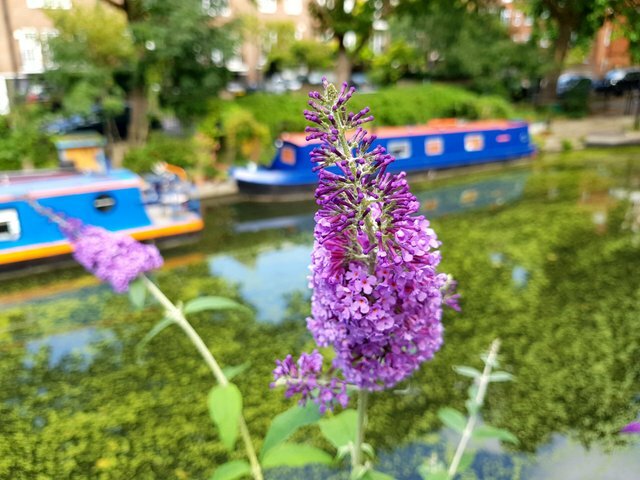 A stones throw to get away from the busy traffic and fast paced London to the gentle and peaceful serenity of it's waterways. So prepare yourself with a good camera, some delicious sandwiches and you'll be in store for a delightful treat. 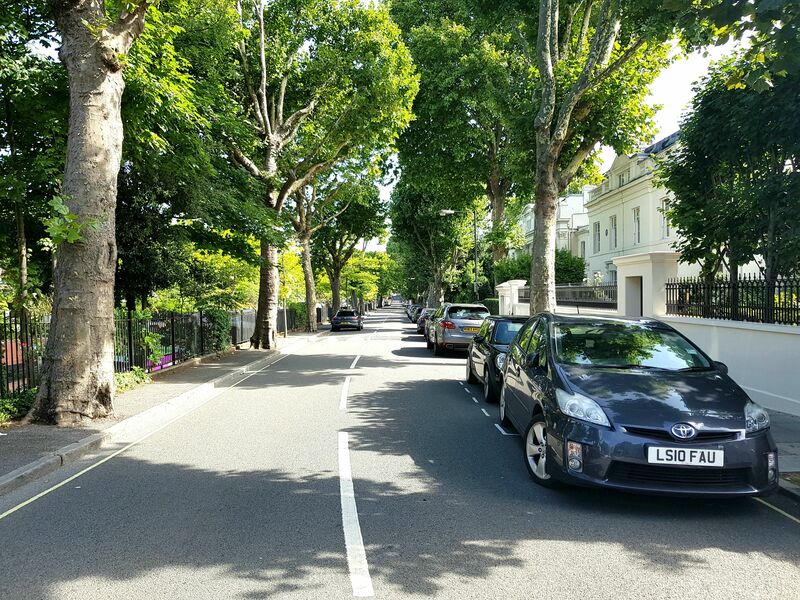 An inexpensive explore around those parts of London that not even seasoned Londoners know too well, lol. Last Sunday, my husband and I drove there early morning and enjoyed a lovely stroll along it's riverside banks and soothing, calm waters. 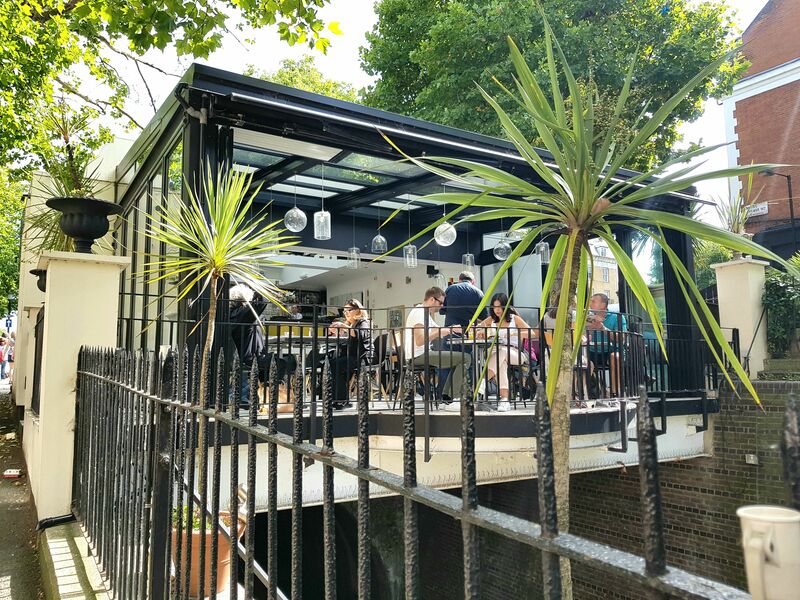 Living in West London for many years already, I cannot believe I just recently discovered this hidden gem tucked away in a snug corner of Central London. Wow, Venice of east, well taken photography. Hope to visit someday. Beautiful photography! And great story as well. That's very kind of you @ace108. You just made my day!!!! I recently bought a professional camera and am still learning the basics, lol. I hope you can make it here soon with your love one. :) Thank you for taking time to comment @ailynvilla1! Wow You live in very beautiful place. Nice review! I'm a big time anglophile and dream of visiting Great Britain. 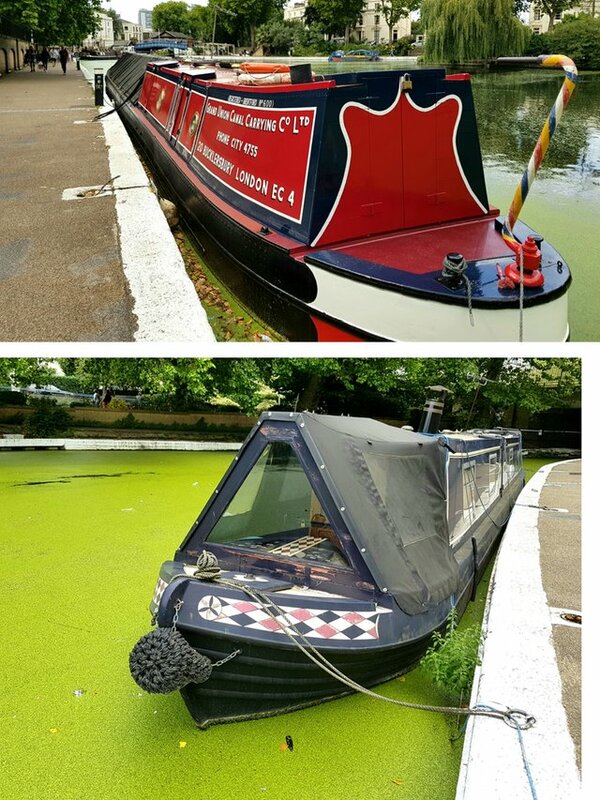 But when I clicked on this post I had no idea Little Venice was located there! I figured it was a travel post on Venice, Italy. These pictures reinforce my desire to visit London... maybe, if I ever get there, I can meet up with some British Steemians! 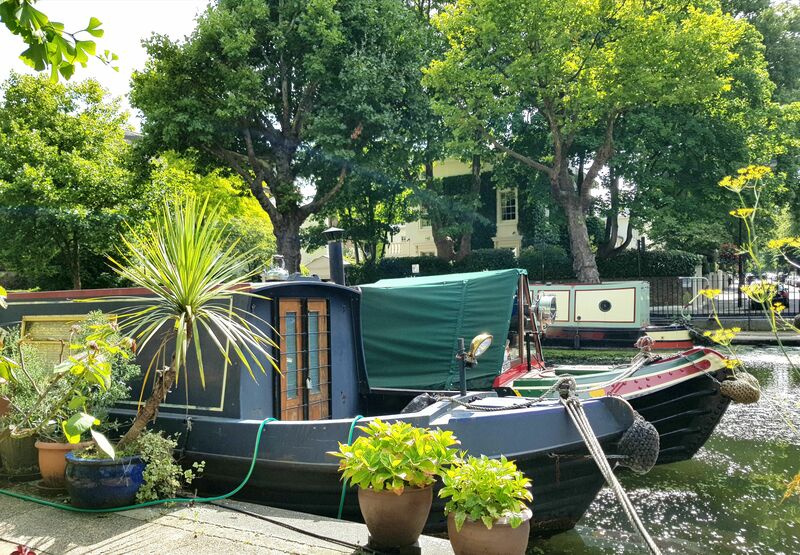 @rea What an amazing looking place little venice is! You are blessed to live so close to it! It is almost like stepping into a fairy tale... around the corner from your house! How marvelous is that!!! Lucky lady you are! 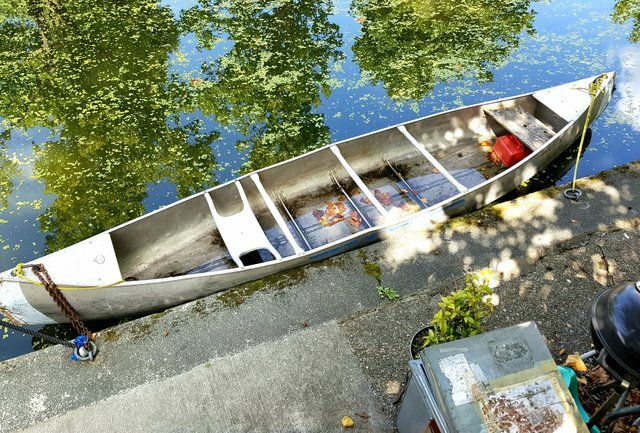 Love the pictures of the boat on water. Also I like #Mediterranean #dishes.. so I envy you. 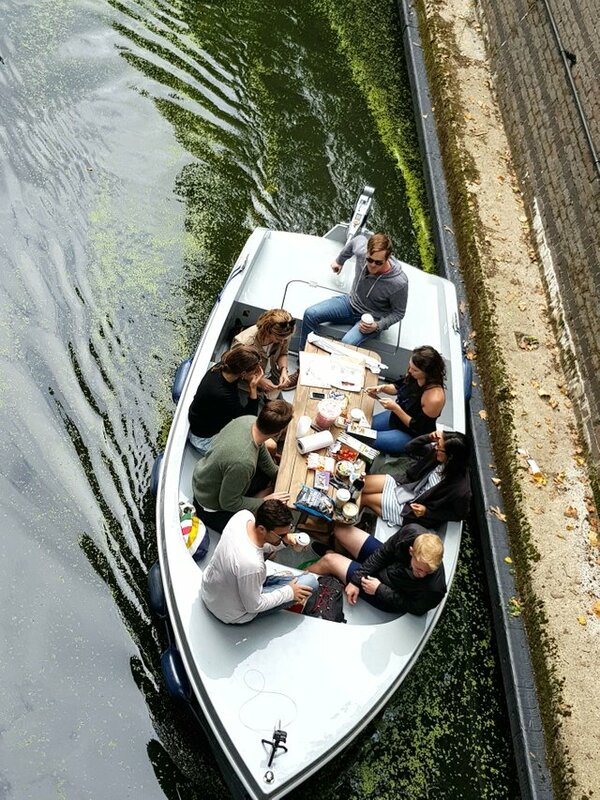 When u mentioned the restaurant barge, I was like 'Oh my, I've got to go & try this floating along .. in Venice". My spouse would probably love ♥ it, too ! 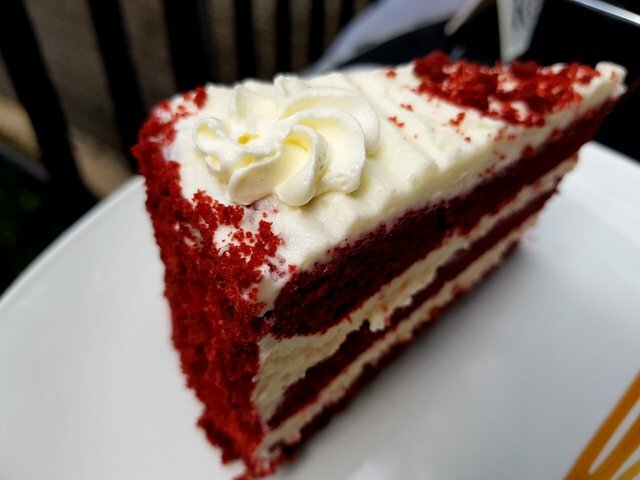 As to the Food #Photos, the dreamy Red Velvet cake - looks delish! What was your ABSOLUTE FAVORITE thing about #Venice? If You have trouble choosing, PICK 2 ! You wrote so beautifully, that started to follow you. Happy to be able to keep the honeymoon with husband, this will continue to make intimate and harmonious. such a beautiful place ! I´ll have to make a trip there in the future. That is why, I've always wanted to visit that place with my family and my loved one ever since. I don't know, but it really captured my eyes and heart. Someday, we'll gonna be there! Haha. Thank you for sharing! By the way, the food you shared looks amazing ... im hungry now. Nice play my brother stays in London while I stay in South Africa will love to visit that place when I come to England next year . Wow, you are beautiful. And this is beautiful, but not so much as you! Thank you for sharing your amazing discovery. A rewarding day, conveyed beautifully. Lovely post. A wonderful part of the city. I continue to follow you and get your great insights. 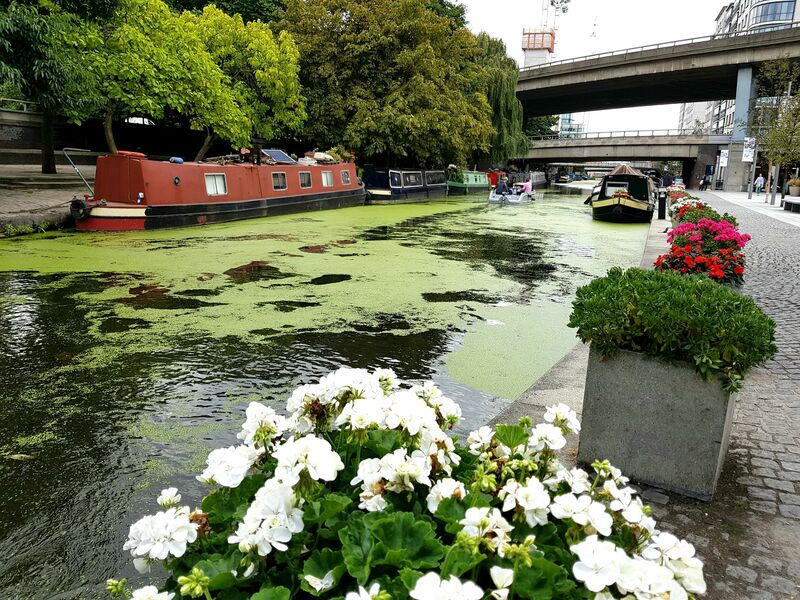 little Venice looks so cute! 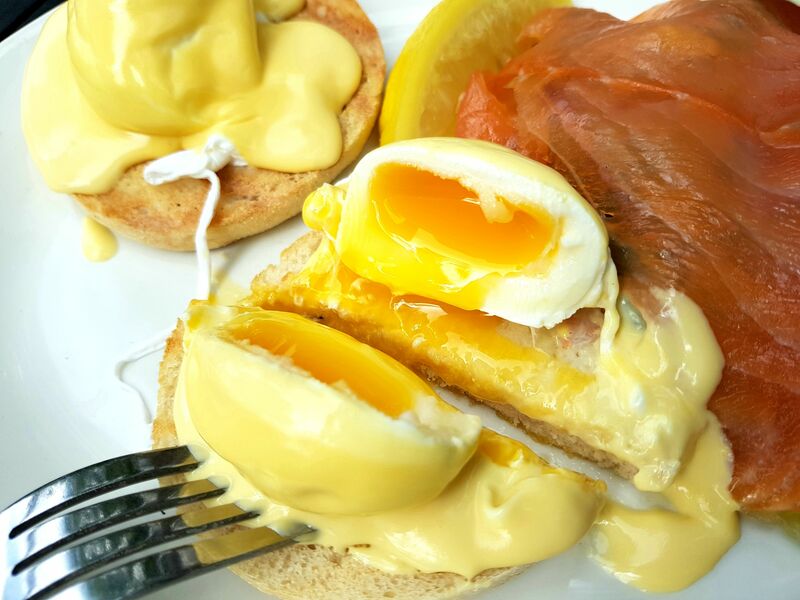 i like Eggs Benedict! This is a mini Venice. Those boats and canals look great. Keep doing so, your articles are great. Really nice write up. We also plan to visit some time! NIce pictures! I did not know there were two venices. Thank you. 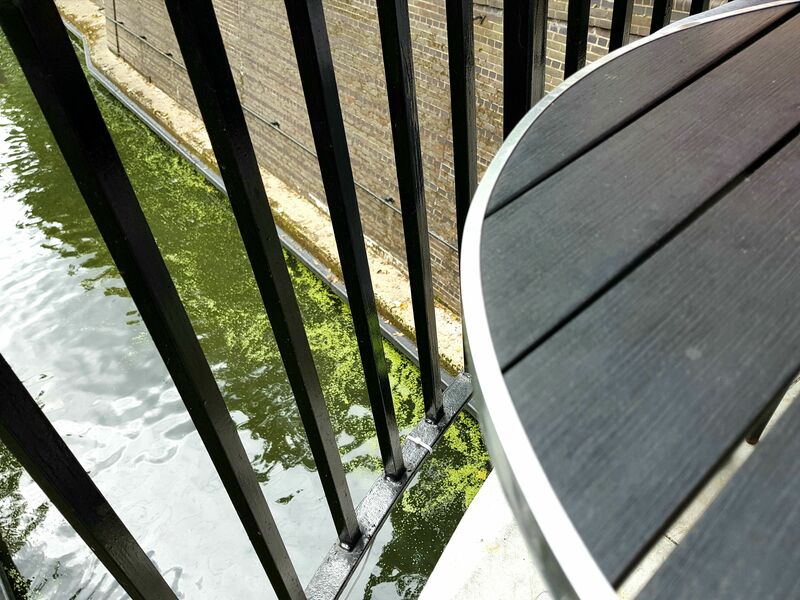 But what is with all that nasty green algae floating on the surface? 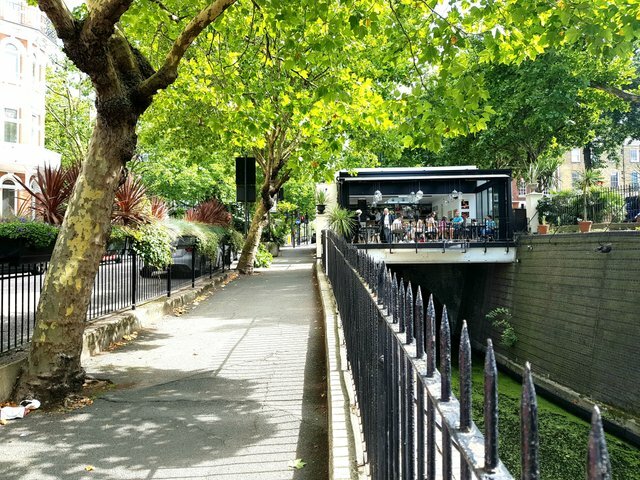 Seems like Little Venice is an hidden gem. I’ve never heard of it before but would like to visit one day. Beautiful pics. Amazing! My girlfriend would love this. An opportunity to take her there on a romantic date? lol. 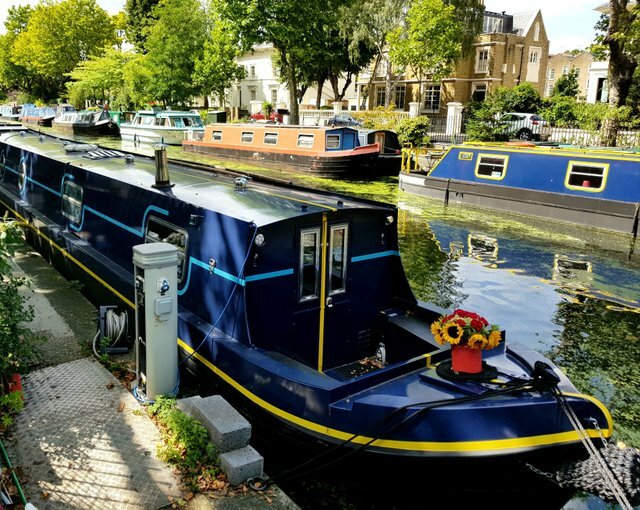 Fun post, are all those houseboats close to the London Zoo? Now i know i went there when i went London last month. loved Camden Market! Amazing pics :) Venice <3 Upvoted. Beautiful! Always appreciate your photos! Thank you for the support @dirtyburger! Great post. I enjoyed reading it. Thanks for sharing! To use the bot, one must be following us, and then make a transaction where the memo is the url of the post. We are offering #free resteem service now. what beautiful scenery! and great photos. thanks for sharing! This was wholesome, good read. Wow! That place looks amazing! Your shots are also perfect! VERY cool photos @rea ! your photos deserve the money you make! im glad your posting long pots! its these posts that bring people into steemit! This electric meter for the boat should have some soret of ethereum smart contract for some reason! Oh God! What a wonderful place to go with your partner! How beautiful @rea. It is such a coincident as I posted about Mykonos being Little Venice. Followed. @rea A nice meal over the canal ahh pure romance. Love it! Maybe I could take my wife there someday and sweep her off her feet again. @rea Thanks for the experience, I feel I was with you on your walk. You are very particular on the details and you spot the most pleasant things like the leaves in the water. You should write everything and make a memoir out of it. You elevate the simplest things in life. 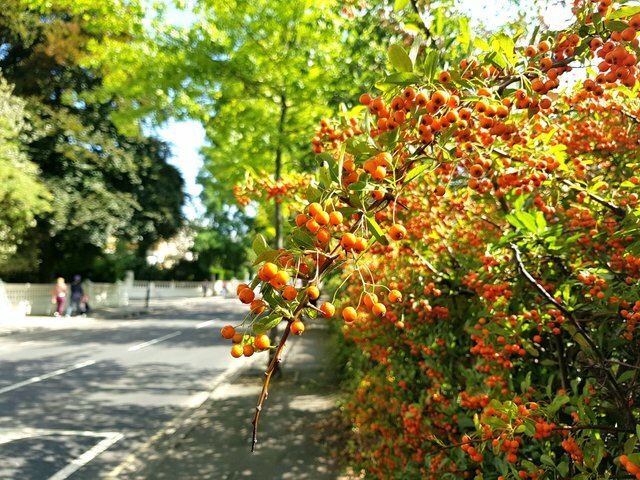 Beautiful pictures and lovely post. Thank you for taking me along. Beautiful place. Thanks for sharing. Nice shots. upvoted. Great post! The project is interesting . At this point I agree with you. Wow. What an incredible place. I plan to visit someday.